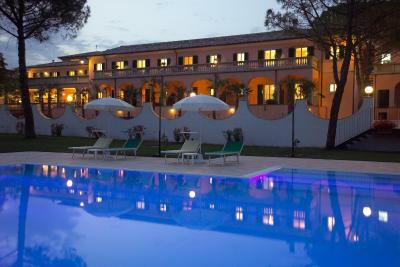 Lock in a great price for Villa Zuccari – rated 9.4 by recent guests! 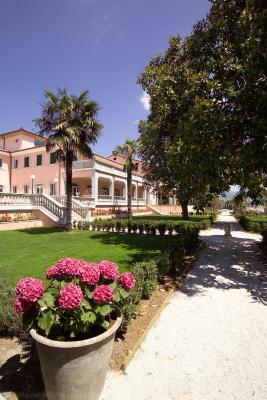 We will never forget our stay at Villa Zuccari! My sister and I got in late the first night, and still able to eat in the dinning room, arranged by the staff. The most delicous Risotto with shaved truffles and walnuts....oh and the wonderful local wine. The staff was always helpful at any hour with a smile. Believe me, we could have stayed another week, the pool, the gardens the staff were outstanding! The Umbria region can not be beat for beauty, great food and wine! It is less crowded then other areas. The most peaceful place on earth! The villa exudes luxury and attention to details in their customer service. Also excellent breakfast and dinner meal offerings. Can’t say enough! The Zuccari's are wonderful hosts! Definitely a highlight of the trip. Great place to stay! Staff very helpful - pointed us to some great areas to explore, which we would have not seen. Chef fixed a meal with fresh on hand vegetables which was very good. 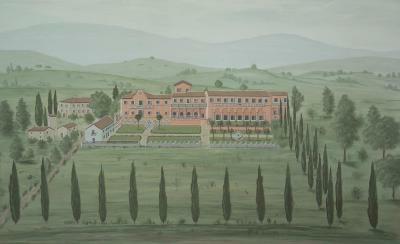 This is a place to stay if you want to get away from the press of people in Umbria. Did I mention the breakfast buffet? We looked forward to it in the morning. We originally intended to stay for 2 nights but gratefully extended to 4. Incredibly peaceful and restorative stay. The staff is wonderful from the gentlemen at reception to breakfast and dinner staff to the room service. Breakfast is a delightful array of delectable and freshly made baked goods, meats, eggs and fresh fruit. 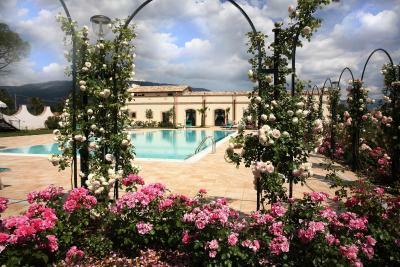 We loved Villa Zuccari and will share this gem with only our best friends. The best breakfast ever! So much choice and all made in the kitchen. 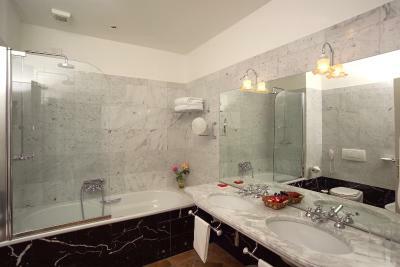 Our bedroom and the public areas of the hotel are elegantly decorated and also very comfortable. Beautiful pool and garden. Great setting Lots of books to read I would have loved to stay there longer. We stayed 2 extra nights because it was just too good for what we wanted to do. Big room, big terrace, nice and comfy bed. Lap pool and excellent breakfast are just a few things to mention. Staff and owners were sensational. And we loved the house dog as well. The beautifully prepared breakfasts. The friendliness of the owners and staff. The quiet location. 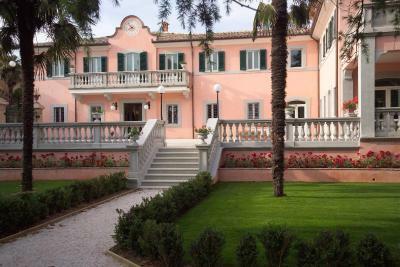 Villa Zuccari This rating is a reflection of how the property compares to the industry standard when it comes to price, facilities and services available. It's based on a self-evaluation by the property. Use this rating to help choose your stay! 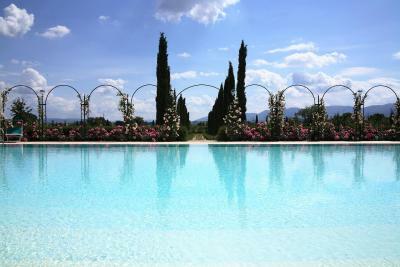 Villa Zuccari is a boutique hotel set in a 16th century summer residence, surrounded by the vineyards of Montefalco. 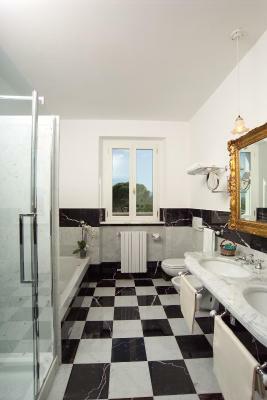 This enchanting villa, property of the Zuccari family for centuries, embraces guests as soon as they arrive. 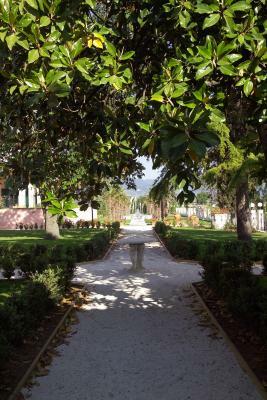 Large magnolia, high palms, enormous pines, are part of the villa’s lovely ancient plants. All the bright rooms enjoy views of the landscaped gardens with roses, rosemary and oleanders. 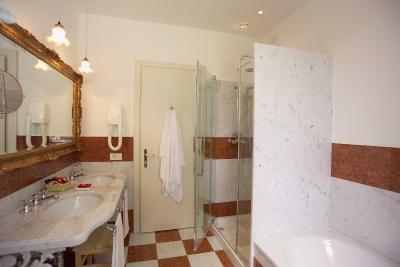 Each room is uniquely decorated with its own distinguished, charming style and terraces. There are various room types (34 rooms in total), including double rooms (classic, superior and deluxe), suites and junior suites. 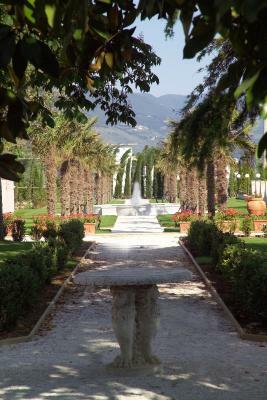 Walk through the old garden featuring a large, simple fountain, and relax in the scent of rosemary hedges. Enjoy sun bathing around the swimming pool. Discover the 19th-century terracotta tile ceiling, brought to light during the long, painstaking restoration which enhances the light and airy reception room. The dining room is set in the ancient wine mill. Enjoy simple, traditional cooking with homemade pasta and delicious soups. 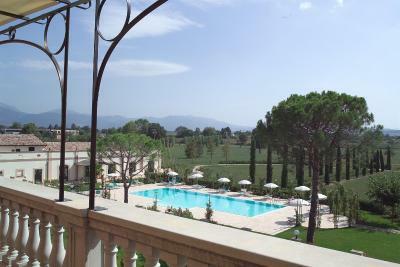 This property is also rated for the best value in Montefalco! Guests are getting more for their money when compared to other properties in this city. 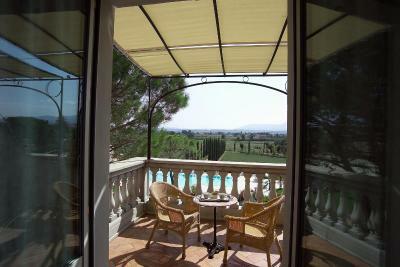 When would you like to stay at Villa Zuccari? This comfortable room is elegantly furnished and located on the ground floor. It features air conditioning, a satellite TV and a work desk. Design bathroom is complete with toiletries and a hairdryer. This comfortable room is elegantly furnished and located on the 1st floor, it has a balcony with views of the village. It features air conditioning, a satellite TV and a work desk. Design bathroom is complete with toiletries and a hairdryer. This comfortable room is elegantly furnished and located on the ground floor, it has a terrace with views of the park or of the swimming pool. It features air conditioning, a satellite TV and a work desk. Design bathroom is complete with toiletries and a hairdryer. House Rules Villa Zuccari takes special requests – add in the next step! ATM card Villa Zuccari accepts these cards and reserves the right to temporarily hold an amount prior to arrival. Villa Zuccari accepts these cards and reserves the right to temporarily hold an amount prior to arrival. Please note that pets cannot access the dining/breakfast hall. Nothing you couldn’t like about this property. There is nothing I would change about this most amazing place!!!! Nothing at all. But one needs to have a car to really enjoy this accommodation. Everything optimal. Dinner and breakfast excellent. Neighborhood noises were audible at times but not offensive. Breakfast very poor, on of the worst that had in Italy . Portions varied from small to slightly larger in pastry's.